Get the Beauty Career You Have Always Wanted! Do you have a natural knack for helping people with their hairstyles or skincare or nails? No matter your aspirations in the health and beauty sector, you need the right education to jumpstart your career and put you on the path to success. Preston’s Beauty Academy, LLC is right here in the Mid-Ohio Valley, and we have helped countless students just like you advance in everything from hairstyling to nails to massage therapy and laser rejuvenation. If you are ready to unlock a new career opportunity, make our school your top consideration. The Mid-Ohio Valley is home to some of Ohio’s most vibrant heritage. From the iconic ferry boats to the historic mansions lining the city streets, the area is ripe in culture and beauty. Living and working in this area is exciting. 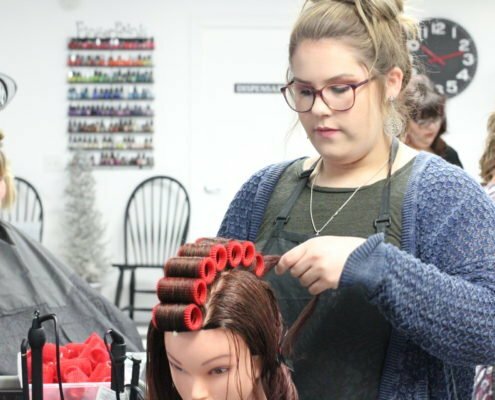 You can easily develop the skills to develop and build your own business through the skills you learn at Preston’s Beauty Academy in Marietta, Ohio. People come from all over Ohio to see the sights in the Mid-Ohio Valley, including Holl’s Chocolates, Blennerhassett Island Historical State Park, Burning Springs, and the Henderson Hall. At Preston’s Beauty Academy, LLC, we know how rewarding a career can be in the beauty industry. You are making your clients feel better about themselves and boosting their self-esteem. This is one of the few industries where you establish long-term relationships with your customers. When you have relationships like that, your business thrives. Our academy offers you an education that helps you enter clinical and beauty services with confidence. Whether you have a career and you are looking for a change, or you are ready to get started, there are numerous reasons to consider a job in this exciting, evolving field. In the beauty industry, there is always room for growth. You will never find yourself at your max potential because the industry continually changes. You can learn new techniques, keep up with the latest trends, and move forward. You could start working for a premier salon on Main Street or build a salon in your home. Take your career as far as you want. The reason some businesses thrive in today’s economy is because they have brand loyalty. When you work in the beauty industry, you have the security of client relationships keeping your business steady. While it takes time to establish these relationships and loyalty, they are rewarding once you do. Not only does it benefit the longevity of your business, but it is personally rewarding and the friendships you make last a lifetime. Variety is the spice of life, and if you want to succeed you never want to be bored of your job. When you work in cosmetics, beauty, and health industries, you will always have variety. From the customers to the requests to the work, there is never a dull moment. Preston’s Beauty Academy, LLC is right here in the Mid-Ohio Valley area. We make getting a new career accessible, fun, and comfortable. Our programs are unique, and we offer hands-on training so that you can indeed grow in whichever career path you choose. We offer a unique training method that combines in-class and hands-on training to ensure you are armed with the skills you need. We offer clinical hours under instructor supervision, so you can get more career experience before you graduate. Our graduates are more than ready to pass their Ohio and West Virginia board examinations with ease. Contact us directly to get your application started at (740) 374-5434 or inquire online about our academy opportunities.